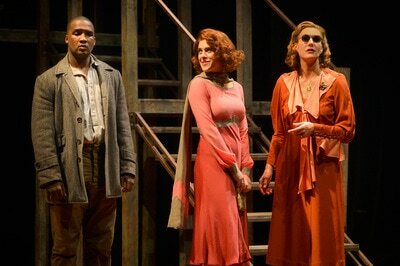 Marin Theatre Company Artistic Director Jasson Minadakis didn’t mince words when he introduced the opening night production of Native Son, Nambi E. Kelley’s adaptation of Richard Wright’s hugely influential 1940 novel. "It is unbelievable that this amazing piece of art that was created in 1940 is still so important and relevant," Minadakis said. "It's still so important that we built our 50th season around it. It's important to keep pushing the conversation forward and making sure that our society is more humane." But it’s paid off in spades – the impact was palpable in the audience’s near-breathless exchanges as they exited the theater on opening night. 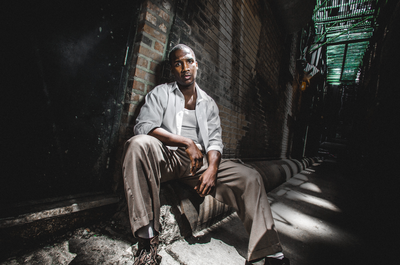 For Talkin’ Broadway, Richard Connema writes that Jerod Haynes as Bigger “gives an intuitive performance that borders on a mishmash of rage and terror,” adding that he “skillfully plays the character with a creepy expression and a mysterious stare.” Connema also credits Kelley with the insertion of a new character, William Hartfield as The Black Rat, the subconscious of Bigger who both drives him toward poor decisions and seeks to help him reverse course. 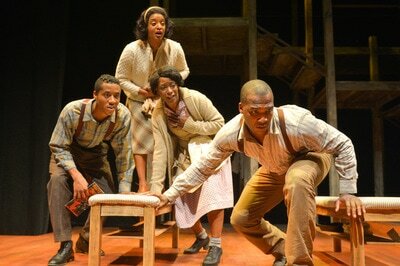 Feinsilber also hails Minadakis for his effort to “showcase plays with African American themes, by African American playwrights,” particularly those of Tarell Alvin McCraney, whose In the Red and Brown Water debuted in the Bay Area at MTC in 2010, long before he became a household name for his play that served as the foundation for the Academy Award-nominated film Moonlight. To Feinsilber's point, Minadakis noted in his opening remarks that MTC participated in the Gaslight Project, in which theaters around the country put on lights outside on January 19 to "create a light for farm times ahead and to make, or renew, a pledge to stand for and protect the values of inclusion, participation and compassion for everyone regardless of race, class, religion, country of origin, immigration status, (dis)ability, age, gender identity or sexual orientation." 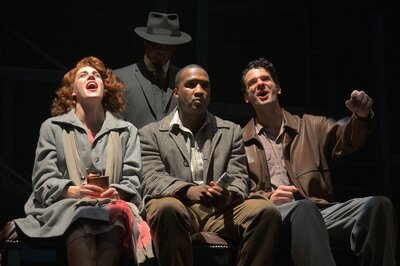 The 411: Native Son runs at the Marin Theatre Company, 397 Miller Ave., through Feb. 12. MORE INFO & TIX.